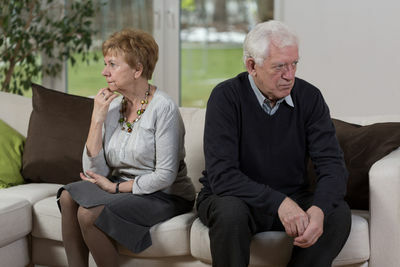 Gray divorce is how couples therapists describe the abrupt increase in divorce among couples 50 years old and older. Typically these couples are tossing in the towel after 20 years or more of marriage. Gray Divorce is the only demographic where divorce is actually on the increase. Overall, divorce rates in the USA have stabilized…except for Americans over 50. The National Center for Health Statistics and the US Census Bureau, reports that the number of married couples in their 50s divorcing has doubled since 1990. And couples age 65 and older, have experienced a tripling of ­divorce rates over the last 25 years. Why are We Seeing an Epidemic of Gray Divorce? Empty Nest With some couples, while kids are still at home, marital distress becomes the can that’s kicked down the road. There is a cultural myth that adult children can better handle divorce once they have been “launched” into independence. Unhappily spouses may stagnate while kids are at home, and defer their own happiness, fearing that divorce will have a negative impact on their children. But once the nest is empty, they feel that they have completed the task of parenthood, and have earned permission to go their separate ways. 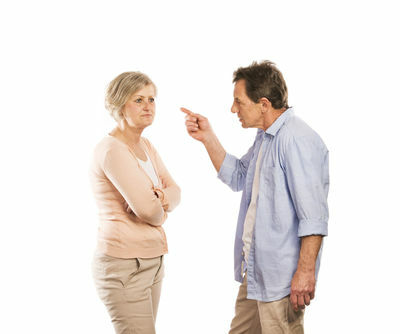 Research tells us that among unhappy couples there is often an interest in divorcing once the last child leaves the nest. Cold Distance and Neglect When making a marriage work becomes more work than fun, love often wanes. Spouses start leading separate lives. Our modern lives offer many distractions; a child-centered household, career advancement, hobbies, the internet, etc. We live in an age of distraction that enables us to easily turn away from our partner instead of toward them. The Larry King Syndrome. Couples in their 50’s and 60’s may be in a second or third marriage. Serial marriages have an increasingly higher rate of divorce than first marriages. Blended families add new stressors, to the already pressing issues of managing ex-spouses, divided loyalties, and financial challenges. Second and third marriages sometimes collapse under the weight of these multiple issues. Do I Want to Spend What Time I have Left With the Likes of You? We are living longer than ever before. A 50-year-old may have another 20 or 30 years left to live. Empty nests are sometimes full of old resentments and bitterness, and unhappy spouses may decide that they want out. Renewed Selfishness. It’s often the case that an unhappy spouse complains that for decades they sacrificed their own desires for others. Now they want to enjoy themselves the way they want to, and often that means jettisoning a marriage that has been cold and distant. Unhappy older spouses often lament that their “time is running out.” They feel an intense desire to nurture their own “personal growth.” Unfortunately, there are many pseudo-experts who advise that gray divorce provides an opportunity to focus on personal satisfaction. I’m a fan of personal growth too, but working on your marriage instead of fleeing can be a path to growth as well. Research tells us that after the dust settles, many late-life divorces are fraught with regret. It’s also true that the idea that adult children aren’t affected by their parents’ gray divorces simply is a cultural myth. Research suggests that adult children are deeply impacted when their parents’ divorce. They worry about the durability of their own intimate bonds, and how they will explain to their children why granny and grandpa don’t live together anymore. It’s convenient to believe that adult children are not impacted, so parents in the throes of a gray divorce often openly seek allies among their children. Gray divorce can also be financially devastating, diminishing the quality of life, and spreading fear and uncertainty throughout the extended family system. If you and your spouse have been kicking the can of marital discord down the road for too long, science-based couples therapy can help you get back on track. If you were a kid-centric household, and now the nest is empty, maybe its time for rebuilding your marriage. It’s never too late to turn things around. While it might seem hopeless, it’s easy to believe that you’re both so set in your ways after struggling for so long that change isn’t possible. But that simply isn’t true. Motivated couples can make profound life-altering changes that can heal old wounds and restore their intimate bonds. Are You Considering a Gray Divorce? Heal With your Spouse in a Science-Based Couples Retreat.